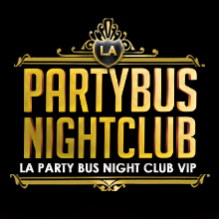 Guided VIP Club Tour of the best exclusive night spots and nightlife in Los Angeles; Friday and Saturday LA Club Crawl events and tickets. Known for offering multiple places of entertainment after dark, VIP Club Tours are how to thoroughly enjoy nightlife in Los Angeles. Usually when you hit the LA club scene; you are subject to long lines in hope to join in on the party. Plus, you are not guaranteed entry. But with a Club Crawl, you will enjoy a hassle free night out while gaining some useful perks. Why join a VIP Club Tour? The basic idea behind a VIP Club Tour is that you will have a concierge at your disposal for the duration of the night from start to finish. A host ensures that all promised commodities (complimentary drinks, skip the line entry and free admission) are all provided to you. And though the name may lead you to believe that you’re limited to only nightclubs; your mobile party might also find itself within the welcoming atmosphere of many of L.A.’s bars and ultra lounges. Each night there is a different set of locations; making it worthwhile to sign up for more than one night. Plus, weekend two-night party passes are available to buy. So whether you’re flying solo, partying with friends or looking for a great night out with your significant, the LA Club Crawl will show you the best nightlife in LA done better than any other. For a fraction of the cost, and none of the hassle, you will have an amazing night out. Plus you will also have access to some of the current top night spots in LA. So what’s the hold-up? Purchase early discount tickets here now and save big money. How can I set up a VIP Club Tour? Drop us a line and we will provide you with all the info you need as well as send you an email confirmation; keeping you in the loop each step of the way. Plus, our services will also come at no cost to you.